A hidden gem just behind Victoria Park is the Deli Downstairs. 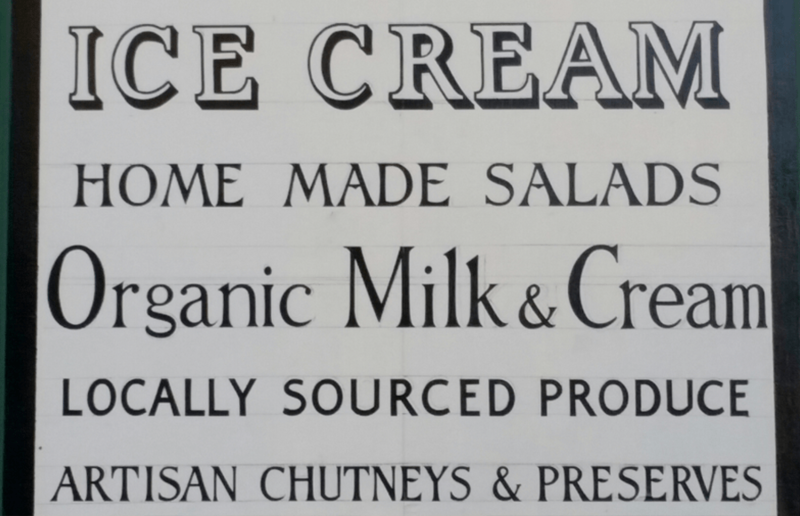 A restored Edwardian grocery which offers fresh and organic produce. Sitting on the roundabout halfway down Victoria Park Road, The Deli Downstairs is easily missable. As you wizz past you might notice the fresh fruit and vegetables perched up on the side of the store. Or someone digging into a home-made pastie or pie. Once you step inside you’ll spot the wooden shelves full of interesting spices and baskets overflowing with organic produce. It’s not a sight you often seen in London. A rural village maybe, but not London. Stocking a range of fresh, seasonal and organic fruit and vegetables, British and Continental cheeses, pies and sausage rolls. They also have organic eggs and milk, locally roasted coffees, artisan breads, pastries and cakes, small-batch jams and chutneys, mustards, spices, olive oils and general groceries. I recently visited with Ethan and his sisters after spotting it on a cycle earlier in the year – and I’m glad I didn’t miss it. The menu inside is small, but offers a lot for your buck, with great value for money. I decided on a traditional pastie with a homemade coleslaw, whilst Ethan tried their lamb, chorizo and chickpea pie – which he enjoyed. Eating in mostly silence to focus on the mouthfuls. The girls had capers with a fresh salad and sausage roll. On a sunny day, they have tables and chairs outside the store too, so you can dig in with a fresh drink from their fridges and take in the sights. It’s well worth visiting. The staff are friendly and knowledgeable, whilst the location and choice is enough to make anyone’s eyes glimmer. 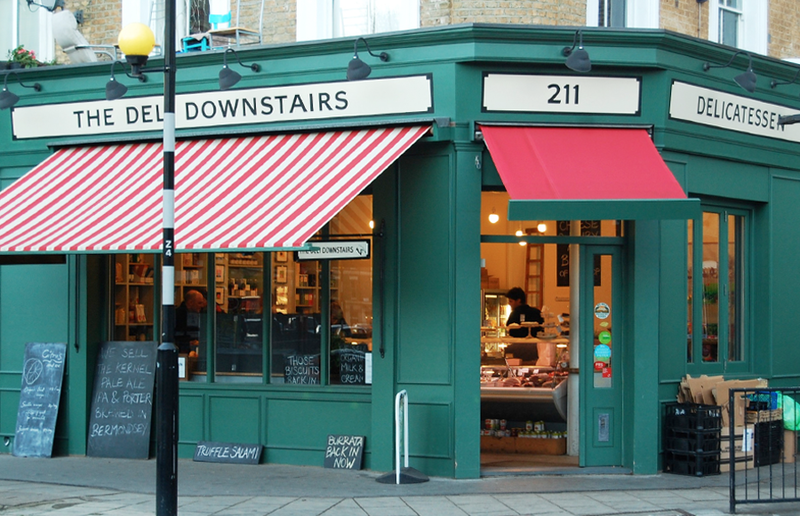 Go check out The Deli Downstairs, 211 Victoria Park Road, E9 7JN.